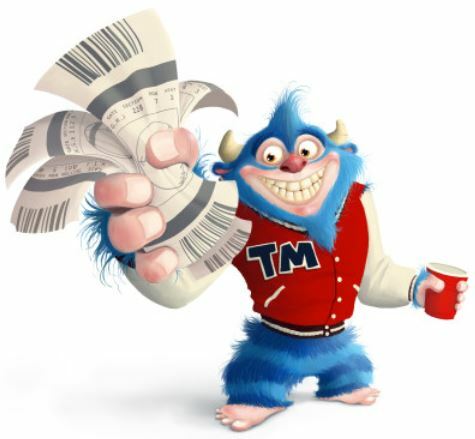 As usual, I’m back to help with some waiver wire adds via my weekly Waiver Favors article! All pickups are available in at least 50% of Yahoo standard fantasy football leagues (with some minor exceptions) as of Sunday evening. With Latavius Murray out this week, and likely several more weeks, with what’s being reported as turf toe, DeAndre Washington and Jalen Richards entered into a committee. Washington was marginally the starter and rushed 9 times for 23 yards, catching 5 of 6 targets for 29 yards. Richard had 8 carries for 31 yards and caught 6 of 7 targets for 66 yards, splitting touches right down the middle, but ultimately being almost twice as productive. It’s likely to be a full blown committee going forward until Murray returns, but both are worth a look in the short term in 12-team and deeper leagues. 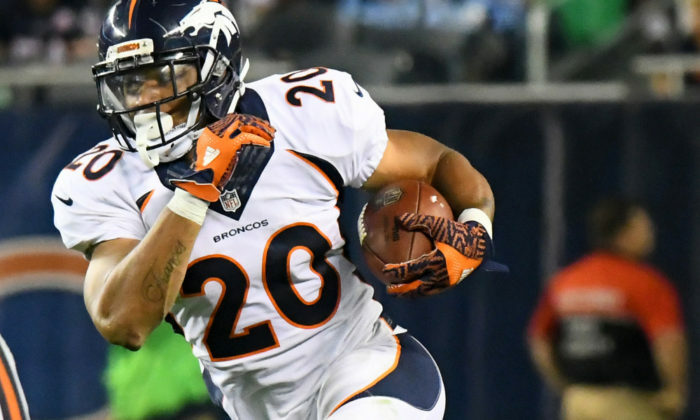 I was big on rookie Devontae Booker in the preseason, particularly in light of how unimpressive C.J. Anderson was for most of last year until his late season surge. And Booker is not quite there yet, but he’s really starting to push Anderson for touches with 6 carries for 23 yards and 4 receptions on 6 targets for 36 yards against the Falcons. His 59 total yards were just three fewer than Anderson, and he only saw 4 fewer touches. He’s definitely trending up and is worth a speculative stash in 14-team and deeper leagues. 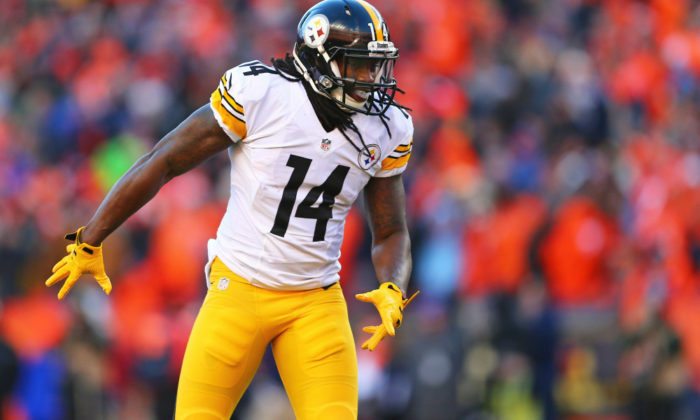 Sammie Coates is fast, as his 72 yard score early in the game Week 5 will attest. There hasn’t been a clear “WR2” behind Antonio Brown in Pittsburgh so far this season, but Coates has averaged 3.25 catches from 5 targets and 70.5 yards per game over the first 4 weeks, and this week’s performance was encouraging as Coates ultimately snagged 6 of 11 targets for 139 yards and 2 TDs, tying for the team lead in targets. He’s worth a pick up in 12-team and deeper leagues in hopes he emerges as a true WR2 in Pittsburgh. 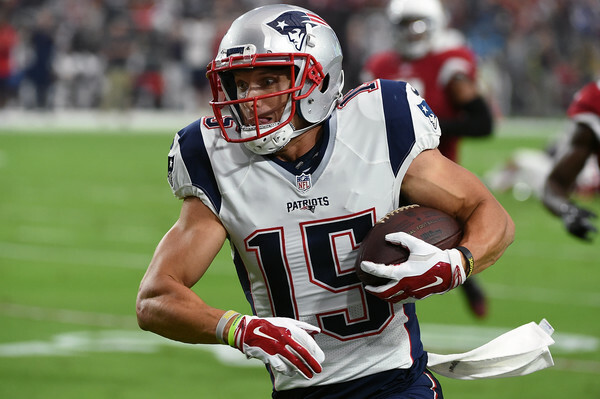 OK, I need you all to basically forget everything you saw of Chris Hogan in the first 4 weeks of the season. Instead, remember back to the preseason where Hogan caught 4 passes for 55 yards and a TD from Tom Brady, and he led the team with 22 catches from Brady during the open portions of camp. OK, now fast forward to Week 5 when Brady returned from suspension and note that Hogan caught 4 of 5 targets for a team leading 114 yards. Sure, he was only 5th in targets on the team, but he made the most of what he had. And honestly, Martellus Bennett is not catching 3 TDs from Brady every week, as those TDs will rotate. Hogan is a nice upside WR4 pickup in 12-team leagues and deeper. Jeremy Kerley spent 5 mostly unremarkable years with the New York Jets. 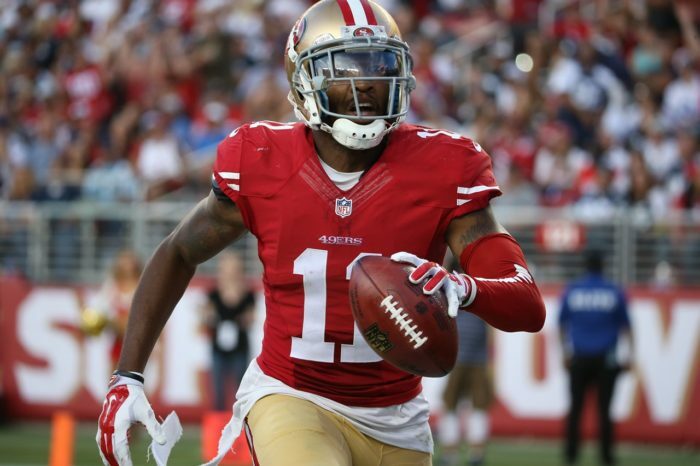 But things are starting to look up for Kerley in San Francisco. He’s averaged 8 targets per game over the first 4 weeks and really broke out in Week 5 grabbing 8 of 13 targets for 102 yards and a TD against some tough Patrick Peterson coverage. Clearly, he’s high on Blaine Gabbert’s radar. Of course, the problem is head coach Chip Kelly has already noted that he’s considering as change under center to Colin Kaepernick, and it that happens, all bets are off for Kerley. But if Gabbert keeps the job, Kerley will have some nice upside in Chip Kelly’s up-tempo offense and is worth a look as a WR4/5 in 12-team leagues and deeper. The Chicago Bears are having some serious injury issues. With Kevin White (back) on IR and Alshon Jeffery and Eddie Royal banged up, Cameron Meredith was elevated to start opposite Jeffery and proved to be a reliable target as he grabbed 9 of 12 for 130 yards and a TD. Brian Hoyer may keep the starting QB job even when Jay Cutler returns from injury. And if that’s the case, Meredith could feasibly be a reliable WR3 in your lineup. Go get him in all 12-team leagues and deeper. 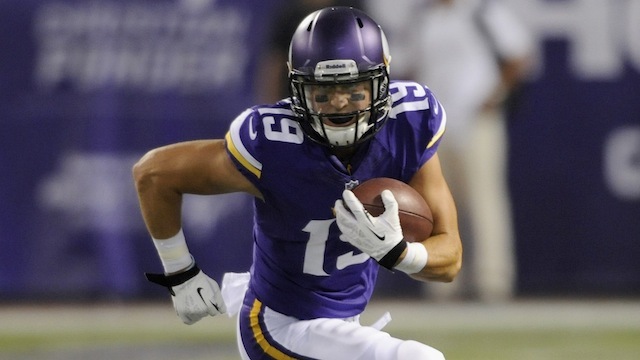 Adam Thielen hasn’t seen many yards this season, but he has averaged 4.25 targets per game through the first 4 weeks. With Stefon Diggs out with a groin injury, Thielen got his first career start and he made the most of it grabbing 7 of 8 targets for 127 yards and a TD. It’s unclear what will happen once Diggs gets back, but he’s trending in the right direction and showing some good chemistry with Bradford. Worth a look in 14-team leagues and deeper.